Aquaman – Release Date: December 14th - Wonder Woman has been the only DCEU movie I've actually liked, so I'm surprised to have added this to my list but it actually looks like it will be halfway decent. Maybe it will surprise me - Aquaman (Wonder Woman and The Flash were scene stealers) was better than I expected in Justice League and maybe his standalone movie will be good. Mortal Engines – Release Date: December 14th - I enjoyed book one in this series and the movie looks like it definitely has potential. Replicas – Release Date: January 11th - I can never resist this kind of story and Keanu Reeves is even in this upcoming movie! Alita: Battle Angel – Release Date: February 14th - I had never heard of this before I started seeing the trailers, but it looks like it could be stunning - visually at the minimum anyway! Chaos Walking – Release Date: March 1st - This book series is one of my all time favorites. Needless to say, I'm very excited but also quite nervous! Captain Marvel – Release Date: March 8th - I'm incredibly hyped up for this one, I have to admit! Captive State – Release Date: March 29th - Just based on this trailer I need to see this rebellion against alien invasion/ occupation movie! Shazam! – Release Date: April 5th - This just looks like a lot of fun, and Zachary Levi's always great. 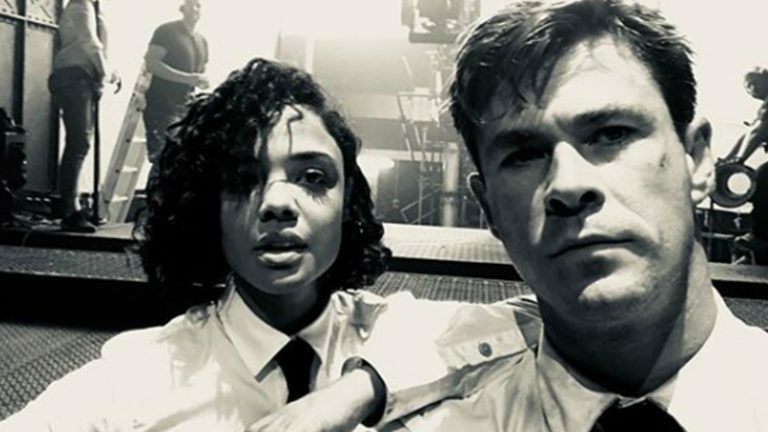 Men in Black Spinoff – Release Date: June 14th - To be honest, all I needed to hear was Chris Hemsworth and Tessa Thompson! 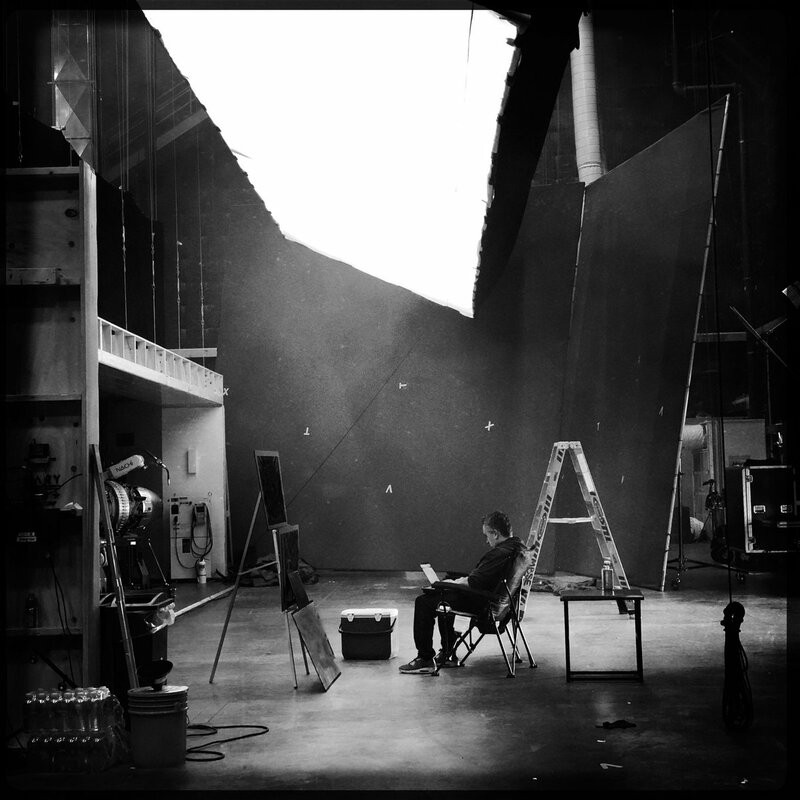 Did you see this photo on Hemsworth's Instagram? Mortal Engines and Capt. Marvel are two I can't wait for. Avengers 4 of course as well. Chaos Walking I'll have to check out, haven't seen that preview. I had no idea there was a Men in Black spinoff coming out. Sounds interesting. OMG yes to all of these! I am excited for them - fingers crossed! I am looking forward to all of these and gosh it's making me excited! Great list! OMG, I've never heard of Captive State but it looks so good! It looks like it has a lot of potential! There's some I have never heard of but Aquaman has caught my attention. YES! I am so excited for that Men in Black spinoff to happen. Especially because Tessa but also because Chris. That being said, I am super stoked for Aquaman and Captain Marvel as well! So many good picks. What a great list, looove it! I'm so excited about so many of them but especially Aqua Man, Captain Marvel, Avengers 4 of course and Alita! Mortal Engines looks really cool as well and I love that it's from the makers of Lord of the Rings and the Hobbit. I'm honestly not a big scifi fan but.. Aquaman? I'm SO ready to see that one! I feel like aquaman could go either way, I'm still interested though. Ooh, I didn't know there was a Men in Black spinoff in the works. Sounds cool! There's a lot of talent behind it. I hope you enjoy them all! I always meant to read Chaos Walking, but it hasn’t happened yet. Someday! If you try it, I hope you'll like it! I'm eagerly looking forward to Captain Marvel and Avengers 4! I didn't know about the MiB spinoff, looks cool. I'm really looking forward to Captain Marvel. She is one of my all time favorite superheroes, behind Thor and Ms. Marvel (Kamala). The Mortal Engines has me curious but I honestly don't know what to think of it. I may try to get to the book soon. The book is definitely worth picking up. Happy reading and watching, Michelle! So many movies that I want to see!! I think Captain Marvel has got to be number one but I'm also super pumped for Chaos Walking! I'm really really skeptical about Chaos Walking. It's one of those books that I think works better as a book than a movie. Will at least check it out. Hope you end up enjoying all of these!